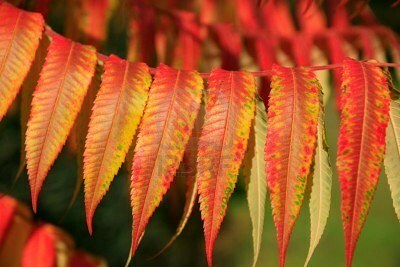 Commonly called the Stag’s Horn Sumach, Rhus typhina is one of the most stunning of shrubs at this time of the year. This is a hardy, upright shrub or small tree with regular divided dark green leaves turning a spectacular orange-red in autumn. 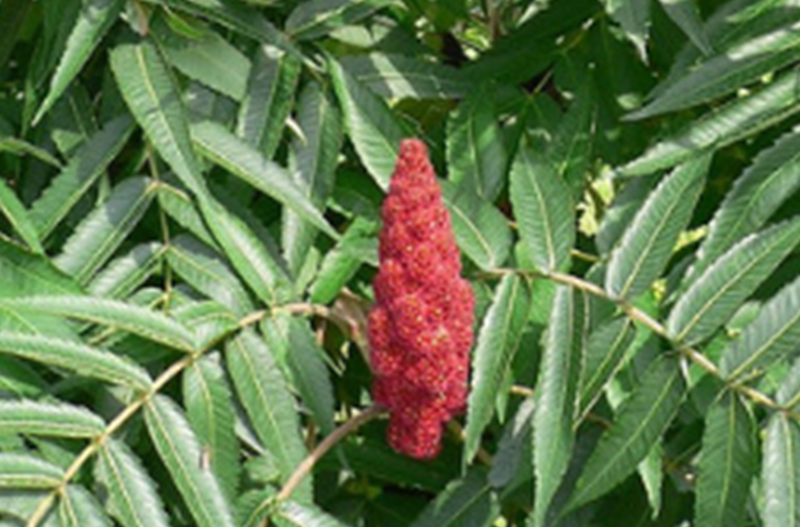 During the summer it produces characteristic candle like flowers followed by crimson-red fruit on female plants. It grows to a maximum height of around 4m. 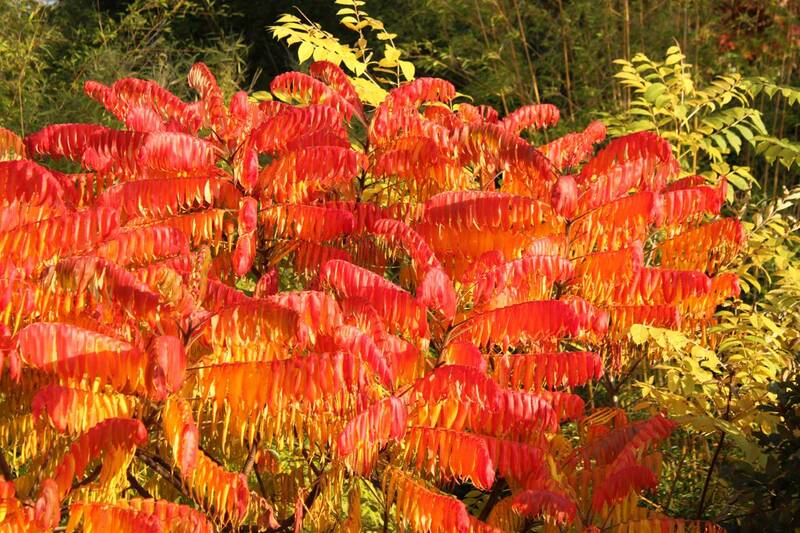 Rhus typhina unsurprisingly makes a great architectural plant particularly effective when planted beside yellow leaved shrubs although it looks good when planted on its own also. The summer flowers are striking, not just through their attractive unusual shape but also in their upright habit. When the whole shrub is in full flower the effect is most striking. In autumn, the colourful, regular leaf formation brings a real treat to the garden after the late summer perennial flowers have ended. It is sun loving, can cope with exposed positions and is drought tolerant making it suitable for problem areas. A couple of negatives, it can be a bit invasive as it spreads by sending out suckers however these can be cut back in the spring. Also the sap is a skin irritant.